the best place for some quick coin! 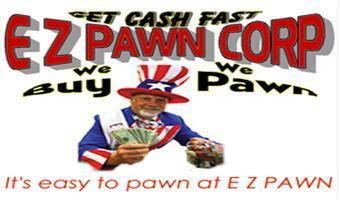 E Z Pawn Corp provides a valuable service to the public. We lend short term cash instantly. It's very simple. There is no credit check or background check. It doesn't matter if you're in bankruptcy or even in default on credit cards or bank loans, because we lend money on your collateral.Pawn shopping is a great way to find bargains. All items that are not redeemed in the period allowed must be sold. 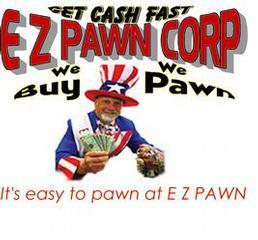 And we sell these items in our stores and on ebay (ebay id ezpawn-corp). Our customers save considerably from what the items cost new. 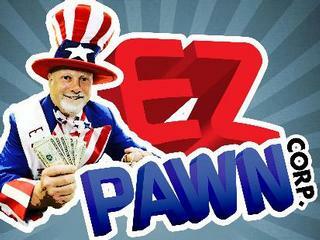 E Z Pawn Corp offers a wide range of services and expert advice in Manhattan, Brooklyn and Queens in the New York City Metropolitan area: Confidential Service, Drums & Much More, Guitars & Basses, Huge Selection Of Musical Instruments, Immediate Cash, Low Interest Loans, Diamonds & Gold, We Keep Your Property SAFE, TV's & More.